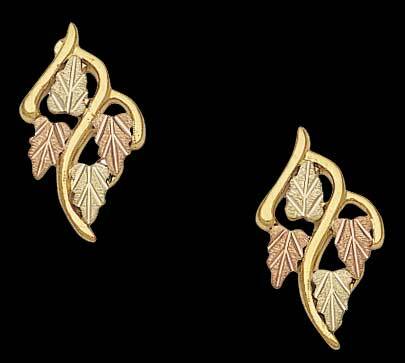 Grape leaf earrings in Black Hills Gold by Landstrom's Black Hills Gold. Grape leaf accents are 12 karat gold, and grape vines are 10 karat gold. Earring posts and nuts are 14K gold. 5/8" x 3/8"
See our matching Black Hills Gold Leaf Pendant.